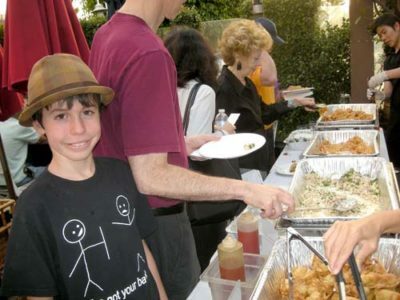 The annual Taste of Larchmont, founded more than 20 years ago by the Larchmont Chronicle, is on Mon., Aug. 25 from 6 to 9 p.m. The community event will let diners sample food and drink from more than 20 Boulevard restaurants. 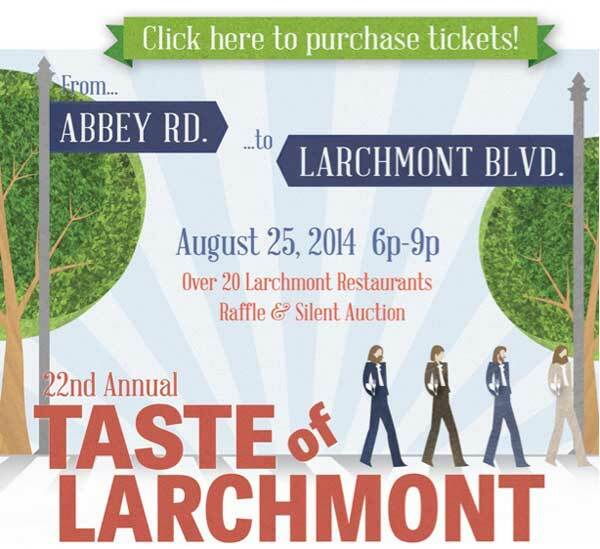 ABBEY ROAD TO LARCHMONT will take diners on a magical mystery tour to area restaurants and eateries. And it’s for a good cause. Top, last year some residents at Chan Dara. Live music and entertainment, a raffle with a grand prize of 12 dinners for two at area restaurants and a silent auction are scheduled. Other participants include California Roll & Sushi, Chan Dara, El Cholo, Girasole, Kiku, Le Pain Quotidien, Le Petit Greek, Louise’s Trattoria, Pinche Tacos, Prado, Village Pizzeria and Z Pizza. Coffee Bean & Tea Leaf, and Go Get ‘em Tiger and Larchmont Village Wine & Spirits will offer drinks at booths set up in the parking lot. Desserts will be courtesy of BabyCakes, Baciami Café, Café Gratitude, Fancifull Foods, Nature’s Bakery and Yogurtland. Tickets are $40. Call 213-389-9949 or visit hopenetla.org.